By sharing, you help add to others happiness! I hope all of my American friends had a wonderful holiday weekend. We celebrated our oldest grandsons birthday. Hard to believe that he is 20 years old. Wow, how old does that make me? lol! *remember to please pin from their site and not mine. 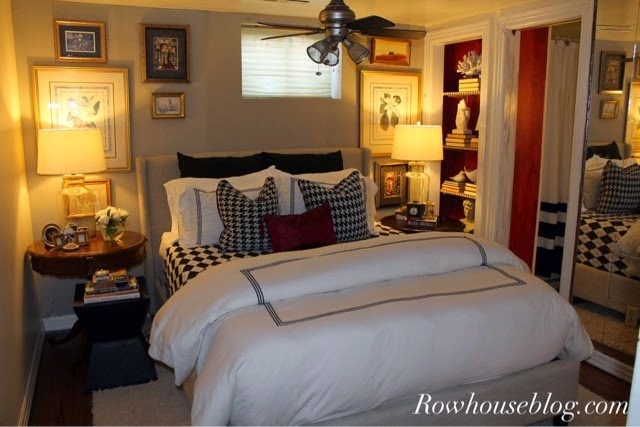 Ramon from Rowhouse blog shared his wonderful bedroom makeover. Gentle Joy took us on an early morning walk through her garden. Sarah from Sadie Seasongoods made the cutest sewing teapot. 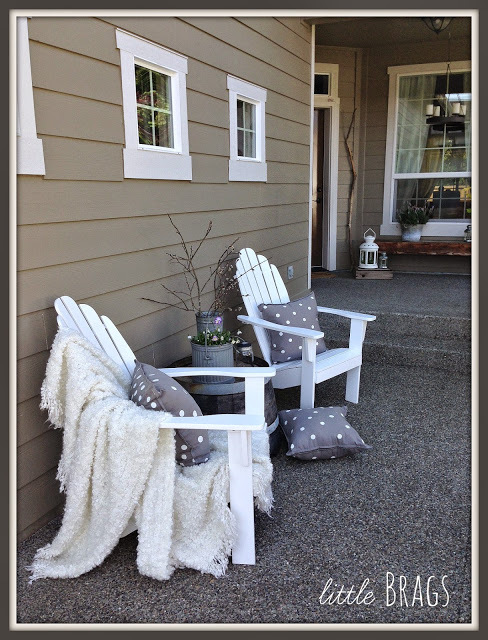 Christine from Little Brags created the cutest polka dot pillows for her back porch. Marsha's Creekside Creations hosted a heritage dinner using assorted dishes that belonged to ancestors. Love this idea! 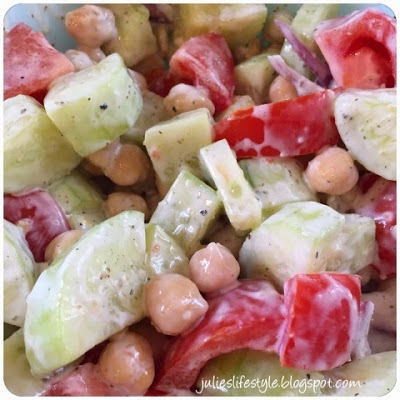 Julie's Lifestyle shared the recipe for an easy and delicious summer ranch dressing salad. Thanks so much for sharing everyone and please grab my button if you were featured. Don't forget to hop over to my page and see who was featured there! Thanks so much for hosting, sweet Jann! Thanks so much for the party Jann ! Happy birthday to the birthday boy ! WOW thank you Jann for featuring my bedroom makeover this week, and thank you for being such a gracious host each week, I love to party with all this talented bloggers. love those polka-dot pillows!! thanks for having us over Jann! I'll second the thanks for hosting. I just love all the inspiration I get each week for all these wonderful bloggers. You are a treasure. Thanks so much for hosting, Jann. So many wonderful features and lots of inspiration. Enjoy the rest of your week. happy birthday to your grandson. 20 is a grand age to be. Oh Jann thanks so much for featuring my ranch dressing salad! I love the features and thanks for hosting the party! Enjoy the rest of the week! Thank you for hosting the party Jann! It's amazing when grandsons hit that age...we have a 20, a 23 and a 24 year old...and makes US seem old! Thanks for hosting! Thank you for hosting Jann! A very happy birthday to your grandson!! Have a great week. Thanks for hosting again this week! Appreciate what you do. 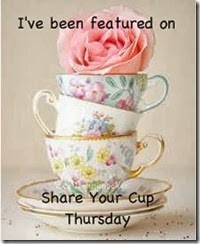 Thank you Jann for Share Your Cup Thursday 151. I look forward to joining in each week. Have a great week. Happy Birthday to your grandson, and thanks for hosting your party today! Great features, as always, Jann. Thanks so much for hosting your party! Thanks so much for hosting another fun party, Jann! Thank you for the weekly party, Jann. Time sure flies by! I know I will be saying that when the grands reach their teens. Luckily they are still 9 and almost 6. I have a little time yet. Thank you for hosting another great party, Jann. So many pretties again this week. Off to visit. Looks like a lot of great ideas here, Jann...can't wait to check some of them out! Thanks for hosting! Thanks so much for hosting the party Jann! I hope you have a fabulous rest of the week. 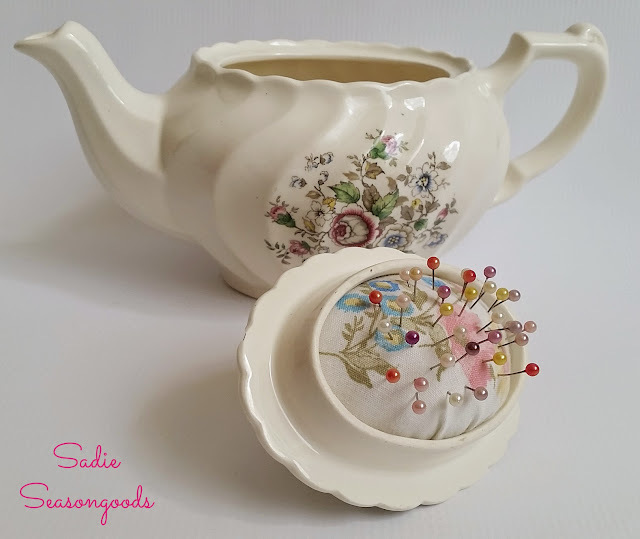 I love that teapot pin cushion too, such a great idea! Jann, so many great links to check out this week on all sorts of subjects. Can't wait to take a break and do it. I haven't linked up for awhile. The features are lovely. Thanks for taking time to host! Thanks for hostessing this blog party. The features are lovely, and that salad is making my mouth water. Hope you are having a great week. Thanks, Jann, for hosting such a lovely party! We'd love to party with you at the Home Matters Party, the door opens tonight at midnight EST. Thanks so much for hosting another great party, Jann! I love those polka dot cushions. My hand has not hurt all day - a first since the surgery - and I think I might be able to actually do some sewing. I want to make some colorful pillows for the patio. Thank you so much Jann, for featuring my Heritage Table post. I'm glad you liked my idea. Have a great weekend and thanks again for hosting a fun party.